Discounted water slides may have discoloring/patches or worn areas. All inflatable slides come complete with blower and everything necessary to begin enjoying your waterslide rental the second it’s set up. 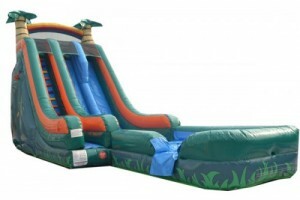 Make your party or event a big hit with a Bean and KK Moonwalks rentals. Rent the wet or dry Double Palm Splash Water Slide. 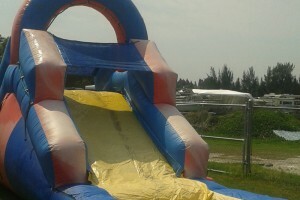 Rent the wet or dry on the Beach Water Slide. ©2015 Beans Bounce Houses, All Rights Reserved.